Since time immemorial rivers in India have been worshipped as Mother Goddesses due to their life-giving qualities. Ancient civilizations across the world came alive around rivers since they recognized the importance of water for all their basic needs. One such sacred river is Narmada or Reva which flows in central India. Recently had the opportunity to watch “Reva” a beautiful film which is based on the life around the river and the ancient practice of pilgrimage. Having personally walked a few stretches along this sacred river in the past, the movie brought back many memories as well as addressed a few unasked questions. I had met pilgrims who walked with chid-like surrender that Narmada Mata (aka Maa Reva) will provide for all their needs on the way. The pilgrimage on average takes anywhere between 6 months to a year, and most of the people I met carried no money. All along the river, the simple villagers would consider it a blessing to feed and host a walking pilgrim and thus one rarely slept hungry. If one did sleep hungry for any reason, it was taken as a suggestion from the Mother to fast, purify and prepare the body-mind instrument for inner work. I interacted with pilgrims from all walks and ilks of life, from young students, to retired grandparents, from ascetics to house-holders, and all shapes and sizes too. Regardless of their backgrounds, each of them shared a mysterious bond, almost like an umblical cord with the mother river which sustained their faith and spirit. Some even felt that the 9 month journey around the river was a spiritual re-birth from the mother’s womb. The pilgrims felt that they had not walked, but instead been cared for and carried in the mother’s womb. Sharing a dialogue between the protagonist and a wandering sadhu/ fakir from the movie Reva that struck a chord and have inspired me to start watching movies meditatively. Fakir: Are you a parikramavasi (pilgrim)? 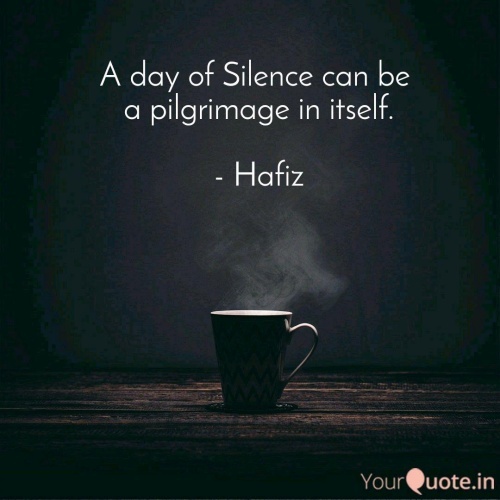 Seeker: I am not sure..
Fakir: We are all on a pilgrimage since the day we are born. The Earth is on a pilgrimage around the sun daily. Everything in the universe is composed of electrons in atoms on a pilgrimage around their nuclei. The ignorant man is on a pilgrimage/ journey chasing things of the temporal material world made of dust unaware that Maya awaits to consume him just around some corner of the road. The one who awakes begins his pilgrimage to the cave of the heart where death holds no sway. Maa Rewa (Mother Narmada), your waters are so pure, joyfully flowing along. You start your journey at Amarkanth (source of the Narmada river), and everywhere you go, people worship you since the scriptures say that you will bless the ones who appease you.